THANKS FOR ALL THE ENTRIES THE GIVEAWAY IS NOW CLOSED! Time for a giveaway - two in fact! 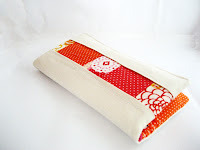 This year I'm participating in the Sew Mama Sew giveaway day. Hi there to all the newbies and to my followers an extra special thanks for hanging with me. I've had a busy week but I did managed to finish my 5000 word psychiatry essay early - well on Friday, and it was due Monday, so I had a guilt free weekend sewing up my new idea. I started with a magazine prototype, then I did a quick version with some cheap not so pretty ikea fabric (the one with the creepy birds - in my defence it was cheap, and I was convinced I would have a use for it - and three years later I have), then the good version I made was too short for my frame! So version no.4 is finally complete but I'll get back to it later. I'm sure you're all hanging out to see what I'm giving away. These are the items up for grab in the craft supplies giveaway - all the items are also available in my shop and so I've compiled almost one of everything for one lucky winner. So that is a total of 3 possible votes each. Winner will be announced the same day and chosen by random number generator. The winner will have 2 days to contact me with their details, otherwise a new winner will be picked. So back to my story about the four tries it took it get my weekend craft project right. Can you guess what it is? I'm sure you're all like we've seen these wallets with the flip lock frames EVERYWHERE for $8...well I have a stash of these frames so I decided to come up with some new ideas on how to use them. So you remember my post about my cheap jewellery purchases - it's been sitting in the box it came in for a few weeks now. Well it's found itself a new home....any ideas yet? A travel jewellery organiser clutch! Instead of rolling your jewellery on itself with the risk of crushing and tangling, this one folds together. On the far left there is a clear zip pocket with three seperate compartments - one large enough for bangles and the other two for earrings. Next to it there's a ring pillow which is held in place with a snap button. On the right side there are three long pockets for necklaces. There's one larger one for chunkier necklaces on one side and two skinny ones next to it.The pockets are long enough to avoid tangling between the different necklaces and the clasp sits at the top along the strap. This is what the jewellery organiser clutch looks at from the side, the necklace pockets snap together, and the clear pocket holds together with the metal frame. Do you like this type of travel jewellery organiser? What would you improve and would you prefer to purchase a complete clutch or would you be interested in purchasing a sewing pattern for this clutch instead? Happy Crafting and Good Luck for the Giveaway! **If you wish to enter both competitions; the craft supplies and the handmade giveaway you will need to post comments on each post. The handmade giveaway is linked here. I love this jewelry clutch!! I would like the pattern, it looks like a fun project to make! Although, it wouldn't hurt to have the finished ones for people to purchase too! I love this idea, although I don't usually buy patterns for this kind of thing. It is an awesome creation! I know my mother in law would want to buy one already made. Thanks for the giveaway! What a great idea! I have a whole list of ladies who would love to have one of these. I would probably just purchase the item instead of the pattern, but I could give a pattern a try. how fun! i would love to be able to purchase the pattern so I could use the fabric I already own. The only other thing I would add to improve the clutch would be a wrist strap - but that's just me personally. Otherwise, it's a great idea! Oh my gosh it's great! I'd love the versatility of a pattern but a ready made one would be awesome as well! It's great! I would buy a ready made one because the hardware would be hard to find where I am. It's very pretty and unique. I love how it looks like a cute clutch. I do not see much room for improvement. I would prefer to purchase a finished clutch because it looks pretty fiddly (a lot of little pieces to mess with!) Thank you for the giveaway! i think this is a great travel jewelry organizer!! Really cute! Thank you for the giveaway! The travel organizer is so clever and very attractive! Thanks for the giveaway, would love to win! okay-- I LOVE the organizer and that owl ring in it :) Really cool idea! love it! I think I'd probably rather purchase it, even though the pattern wouldn't scare me off. However, if the pattern is really easy to follow, then I'd could see myself making them for all the women in my family as Christmas gifts! Your jewelry clutch is amazing. I think I would rather purchase one already made. I think it is great as it is, never seen one like it! Love the organizer. The pattern will be awesome. Ooh I think I'd buy rather than make - but maybe not in green, I'm not green's friend at the moment weirdly. More boudoir colours- reds, oranges and hot pinks I reckon! This is a great idea, I'd love a pattern!! Wow yo uare so inventive! I love jewellery rills but actually hate that they take up space and your flat on that can also stand is brilliant!!! I love that jewelry clutch, and would love to purchase that pattern. I would even purchase a giant version of it to hold even more jewelry. cute, and i'd prefer a pattern. My god, that is genius! I would probably buy both to be honest. I love this idea! And I would buy both the clutch and the pattern! What a neat design! I think I would like to purchase a pattern, and then be able to make it in different fabrics for different people. I am a new follower of your blog - happy to have found you. New follower of your blog from Texas. Love the jewelry organizer. Would prefer it made b.c it looks difficult to make. Thank you for this giveaway. Wow, i dont think i could choose. 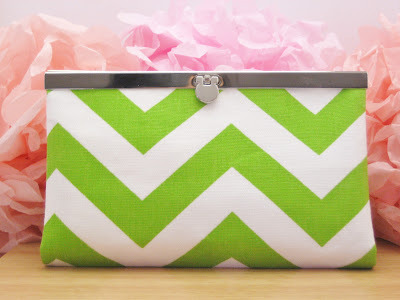 Id love to brave the pattern OR just buy one already made, yours is made so beautifully and i love the green chevron. I love it! I probably would be more likely to buy the pattern than the bag, but I'd be thrilled if my mom got the actual organizer for me. My jewelry is alwway such a jumble when I travel! Oooh, this type of jewellery clutch is perfect for travelling! I really don't like the ones which roll up and tie as they just don't seem very secure. I think with so many people being crafty now the kit would be great...we all need things to do! Love your idea! Okay, that's just stinkin' smart! I'd like both, if I see a finished one that fits I'd buy it, but I'd probably want to customize a few for gifts too, so I'd buy the pattern. 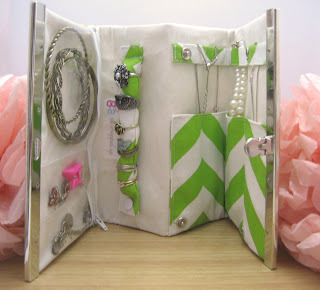 I've never seen that style of jewelry organizer before - love it! I also followed your blog via google reader. Can't wait to hear more from you! I think I'd be more likely to buy the finished product than the pattern. It looks complicated. I LOVE this! I think I would rather purchase one. Not sure if I could do it on my own! 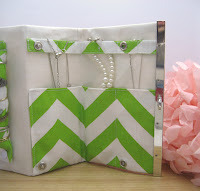 Love what you did with the purse frame. The only thing I would change is maybe make the necklace part clear vinyl like the other side so you can see the necklaces. I would probably purchase either a completed one or a pattern. Thanks! That's a great idea, love your giveaway. I'd definitely like the pattern, I need to feed my sewing addiction! I think I would rather purchase the finished item. It looks quite complicated to put together however, I like the organizer. I would try make one but yours is beautiful. You have great ideas. this looks great .... I like the concertina idea and would definitely rather buy one than make one. Thanks! I wear very little jewels, and always the same. So I don't need to transport them since I wear them. 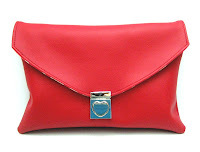 My daugthers may need somthing like your jewelry clutch but I find it a bit big, so I will prefer smaller pouches. I would probably purchase the pattern and sew the inside with that tarnish retarding fabric. I am still a sewing beginner so for me I would buy it so I knew I was gerring a god one and not wasting beautiful fabric and frame! This looks like something that would be great for traveling. I would rather buy it premade than just a pattern! It looks like a great pouch, very classy! I'm more of a pattern buyer then buying one already made but then again, it depends on the difficulty! What a great clutch! I would buy the pattern or the clutch. It looks great but I wouldn't buy one as I have very little jewellery and when I travel I wear what I want to take with me! Cool idea! I would love to own one! I would like the pattern but I think you should offer both the item and a pattern. Mhhh. I do not have much jewellery. But I believe, my sister will love it, so maybe i would buy a patterm ! I love the clutch! I'd like the pattern...but I think you could offer both! Great idea. Would like the pattern. I follow your blog in my reader! My little girl needs one of those. I spend hours untangling necklaces for her. 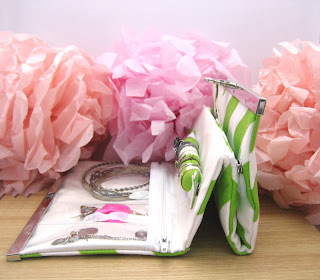 Love the jewelry clutch... the ring pillow is such a great idea. I would definitely use something like this when we travel. Thanks for the chance to win! I would probably rather purchase, but, if the pattern was easy for beginners I would try it thanks for the great giveaway! I'd probably rather purchase a pattern, then I could have a full set of travel accessories that match! What a neat jewelry organizer! I currently just throw my jewelry into a small zippered compartment of my luggage, and I can't tell you how much jewelry I've lost that way! I need one of these! I'd buy the pattern! 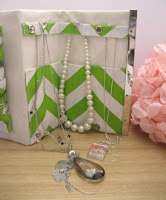 I love this jewelry organizer! I would probably Bohr purchase a completed one and a pattern. I rather purchase the completed one. Thanks for the giveaway! What a clever jewelry clutch! I don't think I would change anything, and I would definitely at least want to try making one from a pattern before buying a completed one..after I botched it. LOL! What a brilliant design! I would totally give the pattern a go! Brilliant idea. I love it the way it is! The jewelry clutch is so unique! I would totally buy the pattern because I enjoy printing my own fabric and sewing. I think these would make wonderful gifts as well. Really smart design, kuddos to you for coming up with it. Great idea! I'd absolutely go for the pattern! 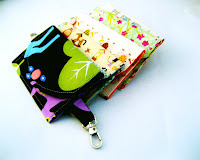 As much as I like to sew, I would probably purchase a completed pouch rather than try to make it myself. It looks a little complicated for my abilities! Thanks for the chance to win! I think it is a cool idea! I would definatley use it! I am a new blog follower - looking forward to your tutorials. Thanks for the chance to win! Oh wow, that's a great design! I'd prefer to make one myself as that's the joy for me. I would buy it for my daughter. Like many other comments, I'd prefer the already made clutch. Mine would never come out as nice. The travel organizer looks great. That is an awesome organiser. I love the ring band!! I would buy one for me! 1. Gorgeous! I would purchase one - I don't think I'm brave enough for the pattern. I follow with gfc and I like you on fb as Tabitha Swain Klucking. Thanks! Love the clutch! I would buy a pattern! Wow! 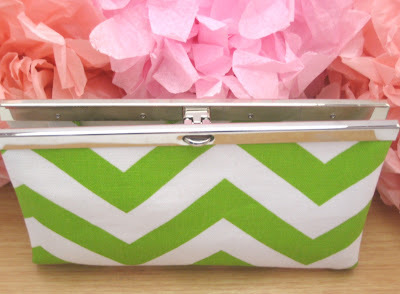 This is a really cute clutch and would be very nice to have while you were traveling. I would love to have a pattern so I could make it just for "me". Thanks for a great giveaway. Wow, another great giveaway! I would definitely be interested in a pattern! I think it's an awesome jewelry clutch! I like it better than rolling the jewelry, especially if I had bangles in there! You've completely confused me, I think I am supposed to reply to the jewelry craft supplies giveaway here and click the link above about the Jewelry organizer. Well, I will do both I guess. I LOVE the jewelry organizer and would rather buy one than have the pattern. I love the craft supplies and would use them to make mixed media art projects. I follow you via GFC under my name - Maureen H.
Thanks for the chance to win. hope I did this right! I like the idea. I would be more interested in purchasing something like this. So the prize - you have to make it yourself eh? Alright, count me in. The jewellery clutch is an interesting idea. One thing is if I were a buyer, and I look at the pretty fabric, I would definitely want it as a clutch. Great idea! These would make super cute bridesmaids gifts, too. I think it would be silly not to market both the pattern and the finished product-surely both would be good sellers. Oooh! I like that! I don't care for rolled jewelry pouches. I like that this one has structure! and for me, i'd rather have the pattern. that way i can match it to my vera bradley luggage i already have. and also make them for gifts for my family to match THEIR vera bradley pieces. This is exactly the kind of pattern I'd love to try, I like slightly unusual but useful sewing projects and woul love to try this one! I LOVE the organizer - Tangled necklaces are my traveling pet peeve! I would buy it probably, but it might be fun to make. Though I'd have to buy a kit for you so it'd be just as easy to buy it all made. Thanks for the giveaway! I love this idea and would be more likely to buy a pattern and make up some gifts. Thanks for the giveaway! Organizers like that are so convenient to keep everything straight! Saves so much hassle! This is a brilliant idea, would love to have a go at the pattern. How soon before Christmas would you have it ready? Since I usually pack my jewelry in a cotton lined gift box with a hair stretchy around it, this jewelry pack is brilliant. I would much rather buy it than the pattern. I would definitely like the pattern. Wow! I think that is awesome! I would probably be more likely to buy the pattern. I can't think of any improvements offhand. I would love a pattern, this is such a clever design! I love it. I would maybe have more earring compartments. I would buy the pattern. Thanks for a chance to win the supplies. I prefer the pattern always! I would prefer the pattern, or a kit. Thanks for the give away! I would prefer to purchase the completed clutch...such an awesome way to store jewelry! This is great,I would definitely like the pattern.Thanks for the giveaway! I would buy one but also like the option of buying the pattern too. What a great organizer! I think I'd still be worried about the necklaces tangling, so I'd want the dividers to completely separate them. I think this is a great organizer! I love it and would love a pattern. I think that's brilliant and I need/want one! Personally I would love to make it myself. 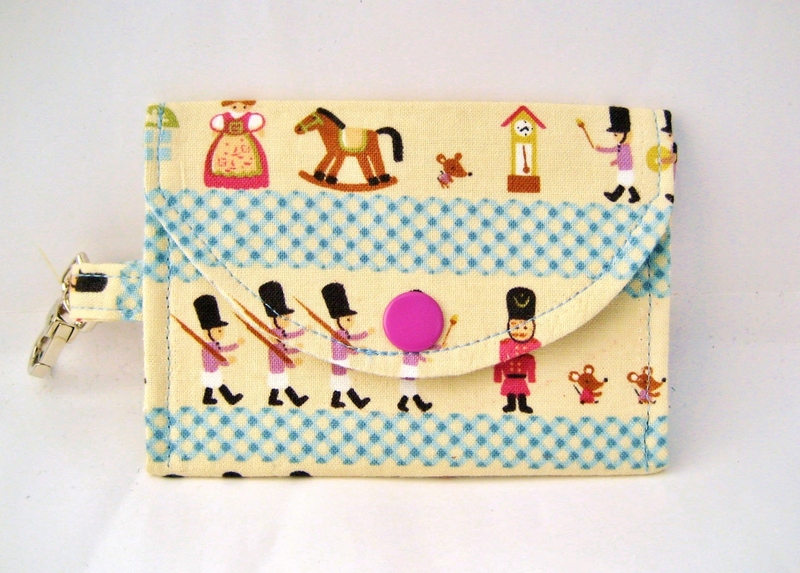 Maybe you could offer the sewing pattern plus fabric/notions as a kit? I'd definitely be up for that. I gave a detailed answer on your other giveaway post. 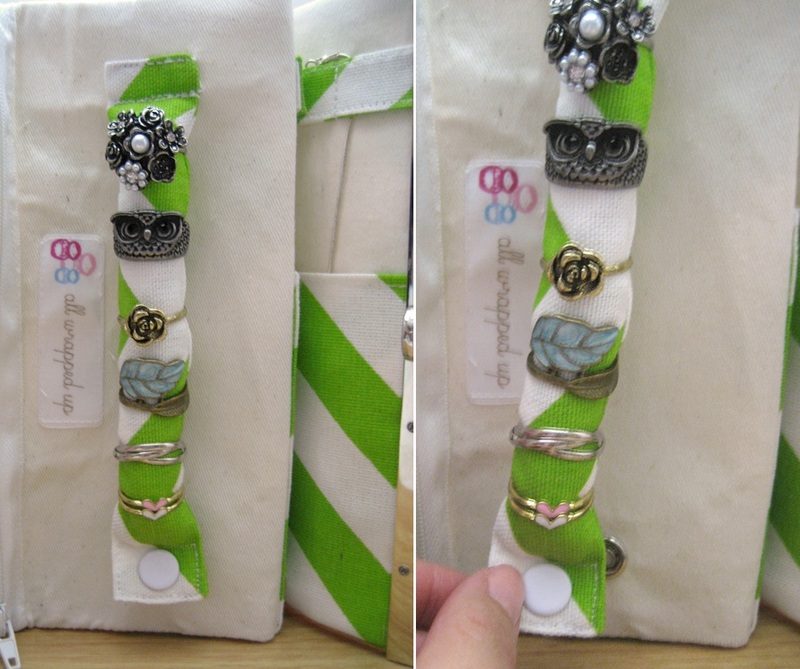 To sum it all up: I like the jewelry organizer and would buy the finished product instead of the pattern. Unless, of course, you offer a kit. Wow, this is great! I can't really speak to changes until I could try it out. As for purchasing the finished product versus the pattern - I'm on the fence on that one. I think I'd probably like to try it myself so put me down for the pattern. Yes, I like the jewelry clutch and would prefer a pattern to a completed clutch (which is almost always the case for me). What a great clutch, love the great pattern. I would love the completed clutch! :) SO CUTE! the jewelry case is so neat, I need to make one of those.. I love it! I would purchase one and would also purchase a pattern, but I am weird like that! 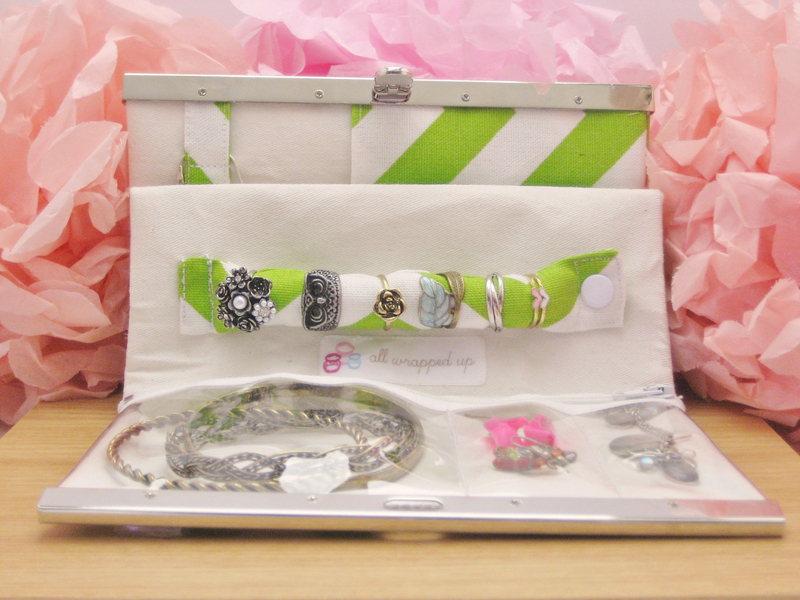 While i dont because i prefer cute boxes for my jewellery, im sure many would love it! I think selling the case itself is better:) thanks for the giveaway! What a great idea! It'd be nice to have the option for buying either the clutch OR the pattern depending on how motivated/skilled a sewer the person is. I would love the pattern for the clutch. I always try to make things myself first. Oh wow! That is seriously awesome! Hmmm, I do a lot of sewing but I think in this instance I would prefer to buy a completed clutch versus the pattern. Although it would be nice to be able to choose custom fabrics for it (like if you wanted it to match you luggage a bit or something). Wow what a great idea!! Personally I would like the pattern so I could make my own with the fabric's that appeal to me. Thanks for the giveaway. That is a great idea! I've never seen anything like it. I think it's the kind of thing I'd rather purchase already made. Woah! That is an incredible idea! It looks way too complicated for me to make with my current skills, but the world most definitely needs this pattern! Great idea! I'd rather purchase a completed one. I would like to purchase the materials and patterns to do it myself. And this is a great organizer when traveling. Thanks for the chance.